Does Your Exterior Need Help? The outside of your home says a lot about it. When your home looks old or tired, renovating the exterior can add incredible value and curb appeal. A updated exterior makes a home feel fresh and new and can make a big difference when it comes to sell. Your neighbors will also appreciate the care that goes into the exterior of your home as it helps to fortify the value of the neighborhood. So if your property’s exterior could use an update, our team is at your service. At Mantis Design + Build, we offer a wide range of exterior remodeling services. At Mantis, we continually stay up to date with the latest in construction techniques and exterior envelope science. Our goal is to build the best possible exterior for your home so that it can stand the test of time and provide the protection your home needs to last for generations to come. No matter the state of your home, we pledge to give your exterior our full attention to get it looking its best. We’d be happy to walk you through your renovation options and discuss your goals for your home’s exterior. 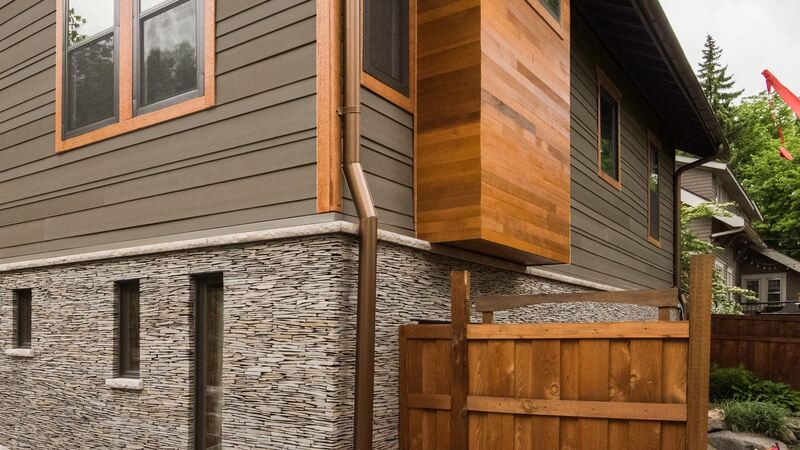 Invest in your exterior and boost your curb appeal with exterior home remodeling services from Mantis Design + Build. For more information or to schedule an estimate, call us today. We’d love to discuss your needs.